While immigration to Europe has dominated the headlines in recent years, policy makers and businesspeople from the south and north of the Mediterranean share a vision of cross border trade that could help bring both regions out of their economic doldrums. 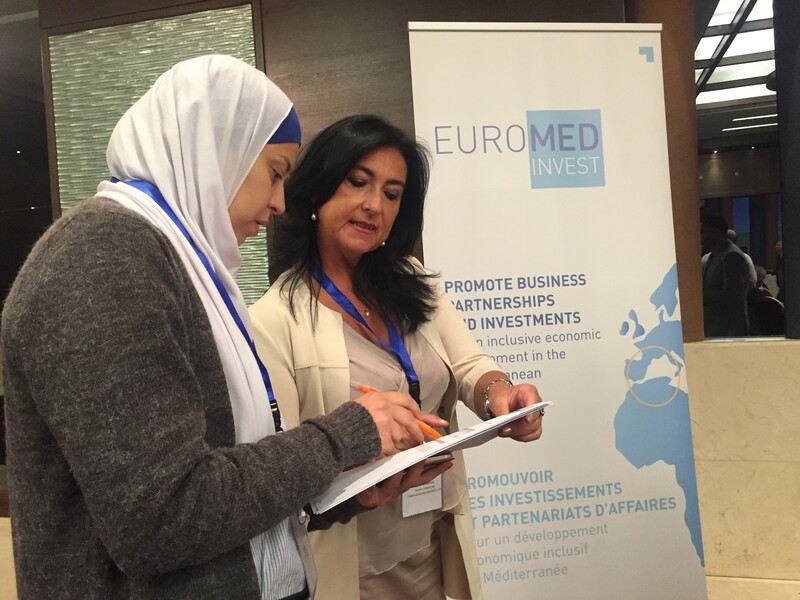 A business roadshow in Amman – part of the EU-funded project EUROMED Invest – has been working to build bridges across borders. With a GDP of $10 trillion, the Mediterranean basin is one of the most lucrative investment areas in the world, despite the economic crisis hitting Europe and the political turmoil devastating most parts of the Middle East and North Africa. Moreover, the potentially mouth-watering opportunities of trade and economic exchange between Europe and the Arab region face challenges such as high taxation, corruption, nepotism, favouritism, and ever-changing investment laws in the developing countries. But when it comes to business and improving the investment climate, evolution not revolution is the way to improve the balance sheets, said business leaders and experts from the south and north of the Mediterranean, on the sidelines of a recent business roadshow in Amman. The roadshow, which brought together 50 companies from Italy, Tunisia and Jordan, hoped to examine opportunities and allow businesses in agro-industry, energy, utilities, construction, environmental technologies, tourism, health and ICT to exchange views on ways to overcome obstacles that impede further growth. Organisers say the two-day event, hosted in the context of the EU-funded EUROMED Invest project, also aims at re-launching economic partnership after the partial collapse due to the Arab Spring, and help establish sustainable growth in the Middle East and North Africa. Economic prosperity would also address one of the core reasons behind immigration from south to north, by creating jobs and providing solid ground for economic stability, according to Oussama Dahmani, Project Manager at the ANIMA Investment Network, an implementing partner of EUROMED Invest. “By boosting foreign investment in the Southern Mediterranean and creating a real driver for sustainable and shared development, EUROMED Invest is furthering the potential of regional integration and cohesion among the Euro-Mediterranean countries. It also sets out to develop businesses, which will create more jobs and maximise the social impact,” adds Dahmani. Meanwhile, Annalisa Gamba, International Projects and Fundraising Manager of Ceipiemonte, says the roadshow is the perfect occasion to help trigger change in terms of legislation and investment climate. The event was organised by Ceipiemonte (the Piemonte Agency for Investments, Export and Tourism), The Jordan Chamber of Industry, Unioncamere Piemonte, The Italian Chamber of Commerce for France in Marseille, and the Confederation of Egyptian European Business Associations. In an over-crowded part of eastern Amman, Mohammed al Tebawee manages a civil society organisation that employs impoverished women in fruit drying and cloth tailoring. Tabawee hopes his products could make it to the European market and grow his business to help more women struggling to make a living. After having spent 20 years living in Europe, Tabawee says the sky is the limit concerning economic exchange between south and north. But local industries have a lot of homework to do, he says. Tebawee says the roadshow is an excellent opportunity to exchange ideas and establish contacts, but argues that the best way to improve cooperation is by organising field visits to local communities and industries. Meanwhile, economic experts say young business leaders from the Southern Mediterranean are still in need of capacity building to be able better to formulate and develop their business projects. EUROMED Invest is providing them with theoretical and practical learning, through the young entrepreneurs’ master classes and other events. A masterclass event was held in Cairo in 2016, under EUROMED Invest to educate young businesspeople on e-marketing in tourism industry. Thaer Azzam Samudi, a Jordanian tourism operator, managed to find establish cooperation with a Spanish tour operator following his participation in the Cairo masterclass. But Samudi laments lack of communication with tourism authorities. He says that increasing tariffs in airports are repelling tourists. Tourism revenues in Jordan have taken a nose dive over the past few years. Visitors to Petra, one of the wonders of the world, have dropped by more than 50 percent, while the majority of businesses in the rock carved city are struggling to survive.